The Pound Sterling to Australian Dollar (GBP/AUD) exchange rate struggled to gain any traction on Monday as the UK construction PMI slumped sharply on the month. Falling short of forecasts, the headline PMI dipped from 52.8 to 50.6 in January to offer a fresh sign of weakening economic momentum within the UK. Mounting concerns over the approaching Brexit deadline and increasing risk of a no-deal outcome helped to drive this decline, putting fresh pressure on Pound Sterling (GBP). However, the underwhelming nature of December’s Australian building approvals figures helped to limit the downside pressure on the GBP/AUD exchange rate. Demand for the Australian Dollar (AUD) generally declined after data showed a -22.5% contraction in approvals on the year, continuing a trend of weakness within the construction sector. A weaker TD securities inflation reading also dented AUD exchange rates, with the index contracting -0.1% on the month in January. This suggests that inflationary pressure within the Australian economy remains muted, giving the Reserve Bank of Australia (RBA) greater incentive to consider cutting interest rates in the months ahead. 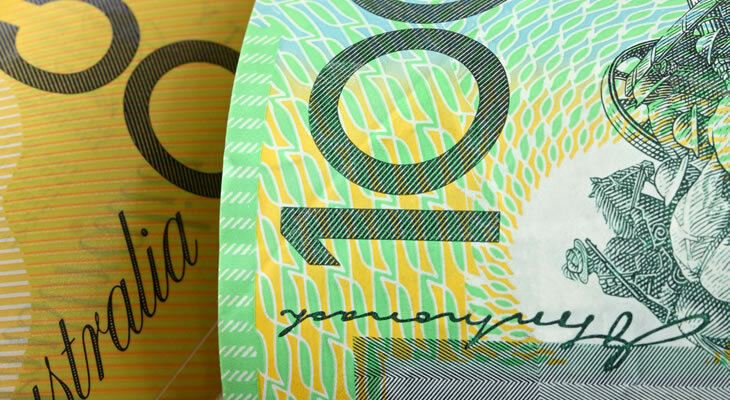 Any signs of dovishness at Tuesday’s RBA policy decision could see the Australian Dollar shedding further ground as markets weigh up the interest rate outlook. Unless the central bank signals greater confidence in the future of the economy the GBP/AUD exchange rate is likely to find a fresh boost in the wake of the announcement. The Pound looks set for fresh volatility later in the week, though, as investors brace for the first Bank of England (BoE) policy meeting of 2019. Although no change in monetary policy looks likely at this stage the Pound could still come under pressure in response to the latest policymaker commentary. If the meeting minutes indicate a greater sense of anxiety over the outlook of the UK economy this is likely to weigh down the GBP/AUD exchange rate, with the odds of a 2019 interest rate hike fading. Focus will also fall on the latest quarterly Inflation Report, which will offer a more comprehensive picture of the economic outlook. As long the odds of a no-deal Brexit continue to mount, in the face of an absence of progress towards an agreeable deal, the Pound could struggle to find any positive momentum against its rivals.